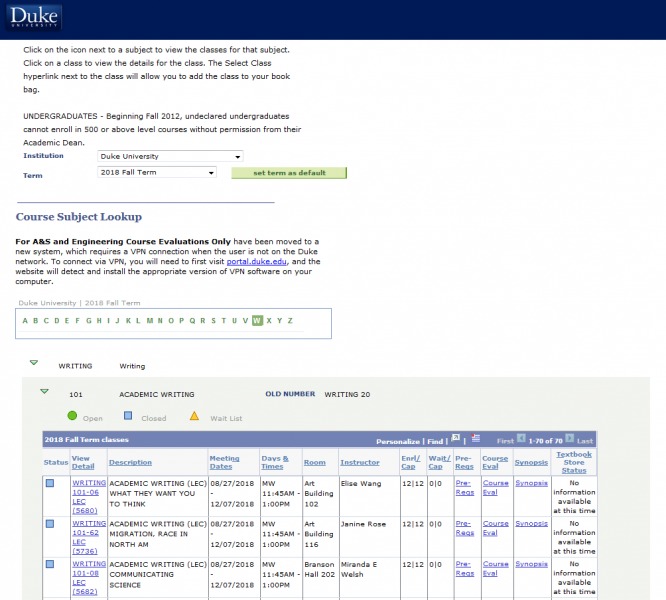 The Office of the University Registrar is responsible for the maintenance of the Course Catalog for the Divinity School, the Fuqua School of Business, the Graduate School, the Pratt School of Engineering, the Nicholas School of the Environment, the School of Law, the School of Nursing, the Sanford School of Public Policy, and the Trinity College of Arts & Sciences. We also work with these schools on the development and distribution of the Schedule of Classes. The Course Catalog is a comprehensive volume of all courses, not all of which are necessarily offered in any given term. Search for the Subject Code and Course Number. 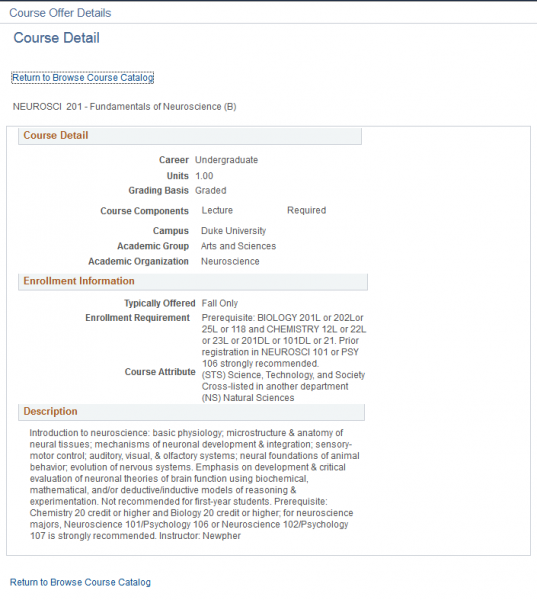 Clicking on either the "Course Nbr" or the "Course Title" will present additional course details, including the course description.